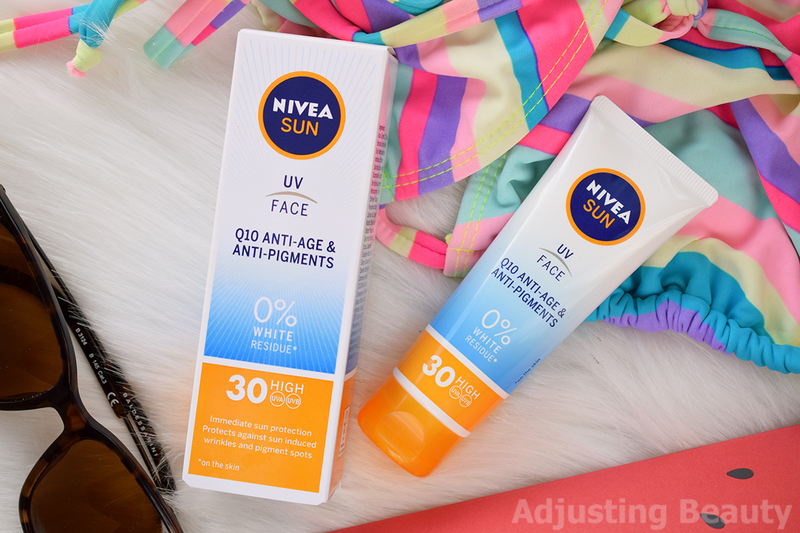 I've almost always used some sort of Nivea SPF for the body (especially by the sea), because I like their packaging and formulas. 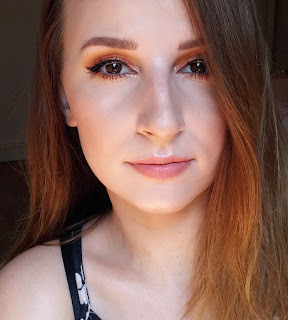 So far, I haven't tried their face SPFs and since I do use SPF on my face daily in spring and summer time, I was excited to try out two of their new releases. This is one of those products that will definitely be used up and is very much a necessity in my routine. This is a mousse meant for daily use with and SPF of 50+. It comes in a can. Their design is white, blue and orange. It has plastic cap on top and it dispenses foam through a small square opening. In it is 72.9 grams or 75 ml of product and the price is around 12€. 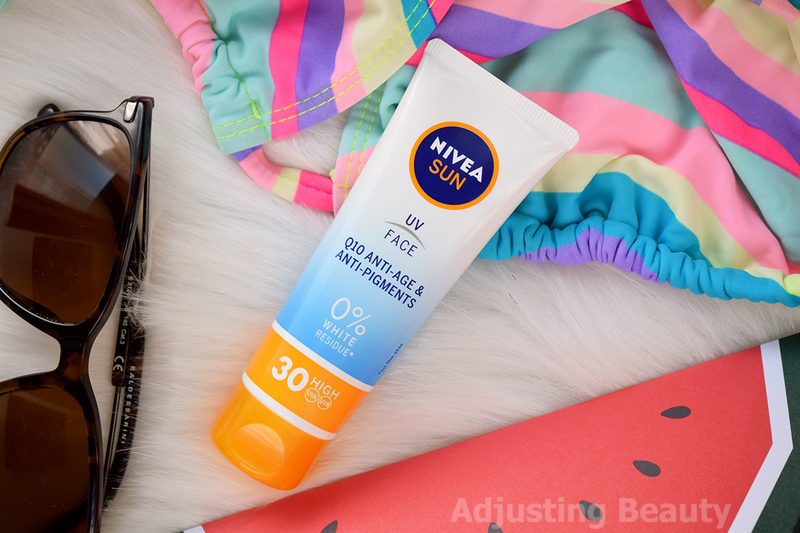 It gives you UVA and UVB protection against sun exposure and other UV-induced face skin damage. They describe formula as moisturizing and ideal for every day use with a light and smooth skin feeling. 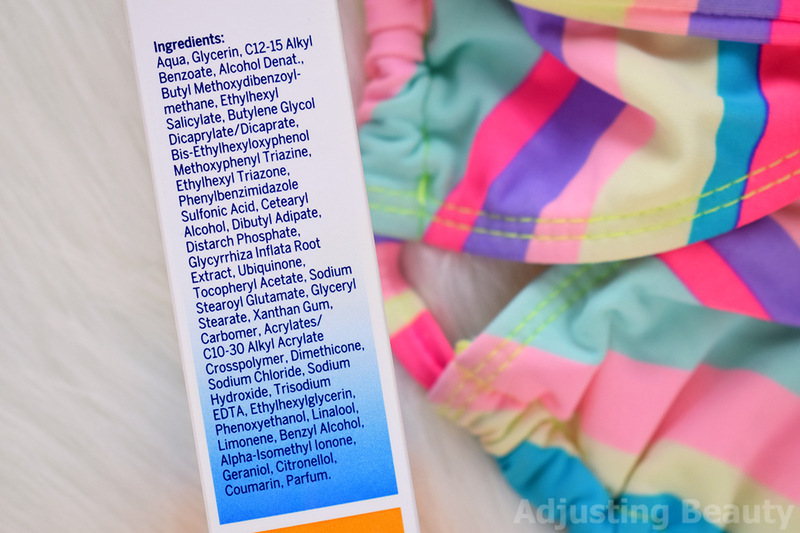 In the ingredients list you'll notice that it contains chemical UV filters, which means this is a chemical sunscreen. I already use some chemical sunscreens for the face and prefer it over mineral or physical filters, because they feel more lightweight on the skin. 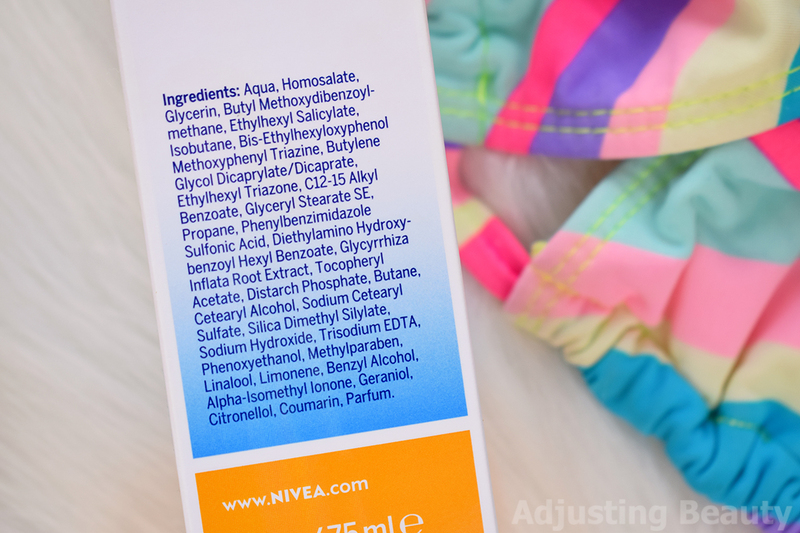 Second ingredient is also glycerin which makes sense, because this feels very moisturizing on the skin. Before using it, make sure to shake it well. At the beginning I got out a lot of oily base instead of a proper foam, so make sure to shake. It comes out as a slightly yellow tinted foam. As soon as you starts to massage it into the skin, it starts too like like a white milk. You need to spread it and massage it into the skin in order to blend. It doesn't leave any white residue as they promise. 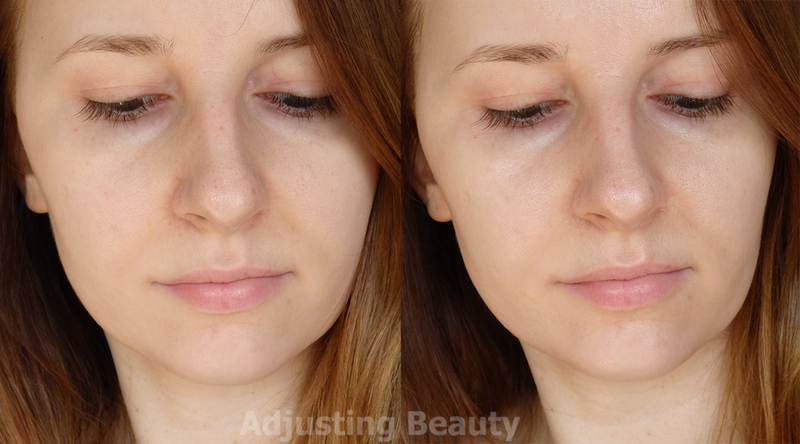 Finish on the skin has a bit of glow to it and it looks dewy. 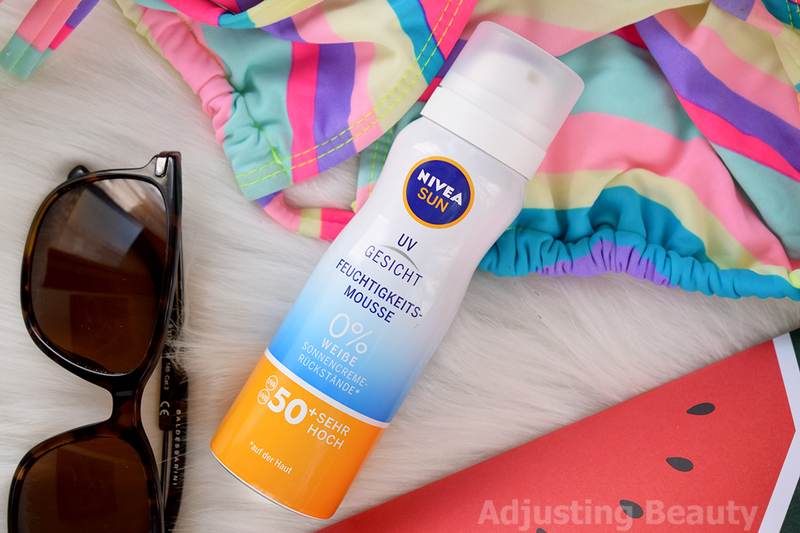 It has that proper Nivea sunscreen scent which I like. This is definitely moisturizing and I think would be better suited for dry skin. I have combination skin and this feels too greasy for me to use on daily. I would definitely use it when going to swim or chill by the pool/ by the sea, but not under makeup. For me personally it's too moisturizing. 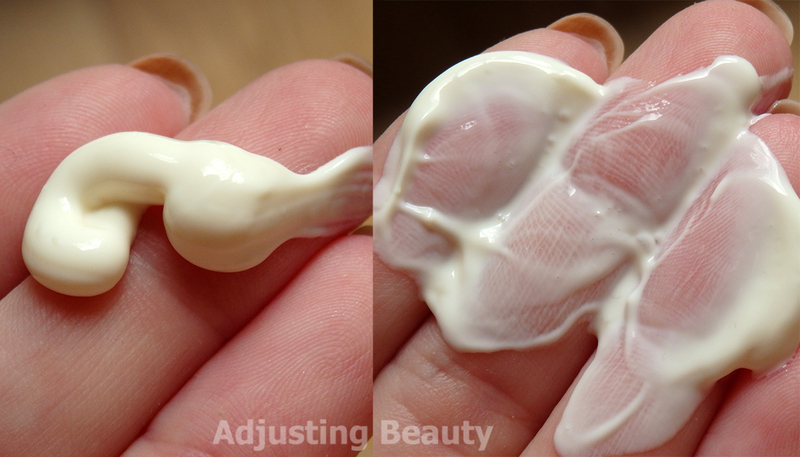 The slightly greasy nourishing layer on the skin would definitely be too much for anyone that gets oily quickly. I wore this outside and I haven't notice my skin getting burnt or looking any less pale, so I assume the SPF in here works. But for a proper SPF test I would need to go swimming or stay outdoor for a few hours. It doesn't feel irritating and I don't notice any alcohol tingle or scent to it, but it does have added perfume. Chemical filters may also be problematic for some of you that don't tolerate them well. If mousse was moisturizing formula, than this one is supposedly for all of us that want to prevent aging sun damage on our skin. It has an SPF of 30. This one comes in a regular plastic tube with again white, blue and orange design. It has small round opening and a plastic top. In it is 50 ml of product and it costs around 10€. 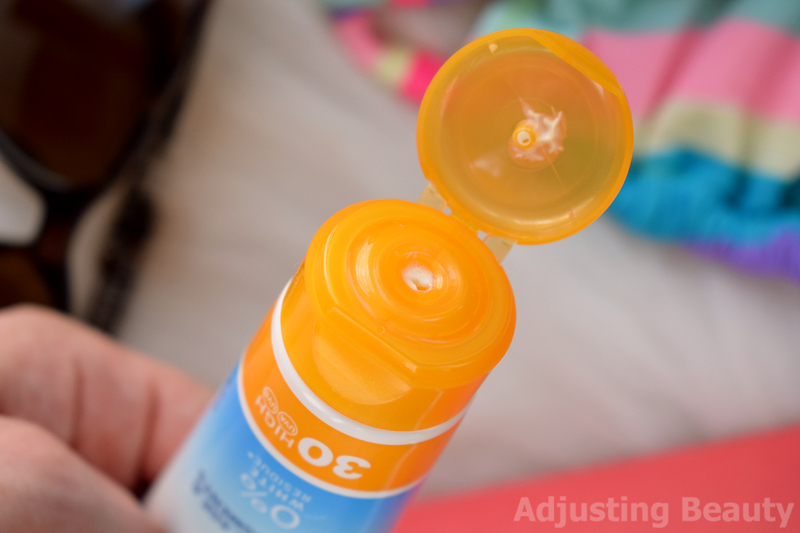 It also protects you against UVA and UVB rays. The Q-10 formula should prevent the appearance of sun induced fine lines, wrinkles and pigment spots. It should also give your skin light and silky smooth feeling. Coenzyme Q-10 is naturally present in our body. Its main function is to produce cellular energy in mitochondria. It also acts as antioxidant which is vital for fighting free radicals that can damage our skin on daily basis. You will find it in the ingredients list under ubiquinone and it's actually farther down the list. 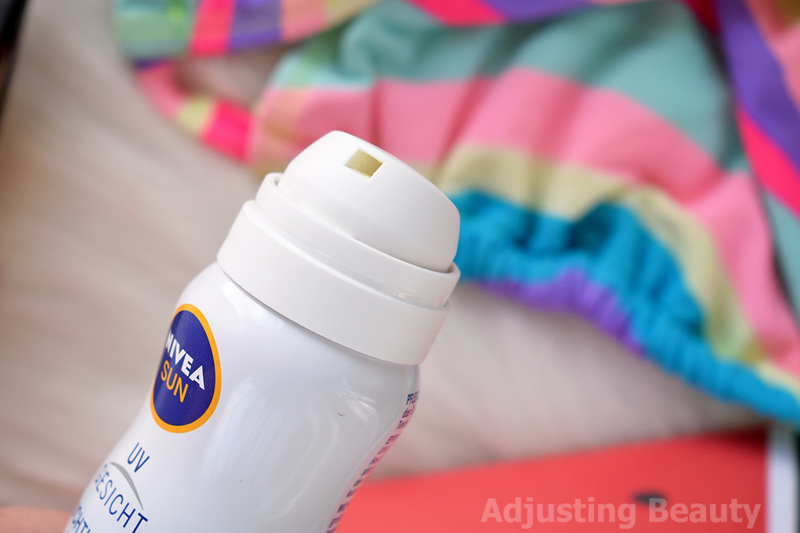 In the ingredients list you'll again find a lot of chemical UV filters which makes this a chemical sunscreen as well. Second ingredients is again glycerin which makes this formula feel moisturizing on the skin. 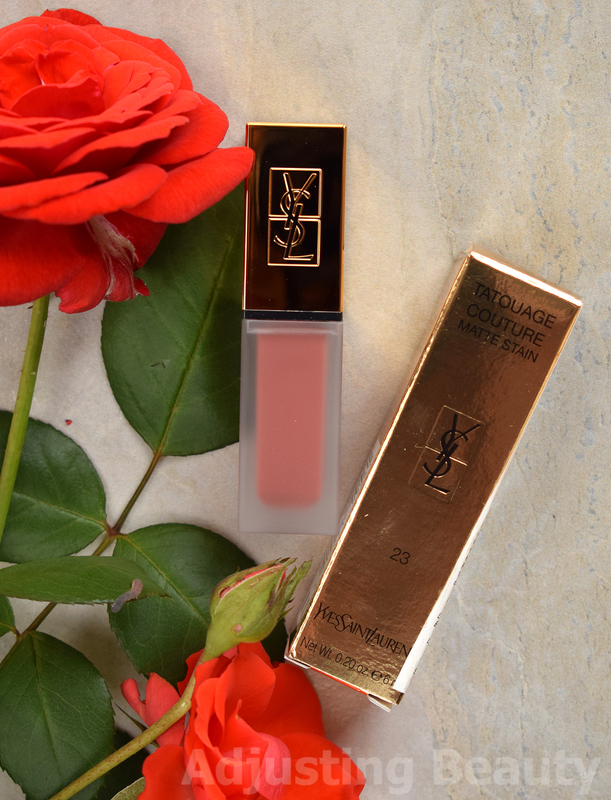 This formula also contains some alcohols which make it thinner and a bit more lightweight on the skin. Most sunscreens contains some amount of alcohol anyway, so it doesn't bother me personally. It comes out as lightly yellow tinted cream. It looks thicker, but once you starts spreading it out, it feels more lightweight in texture and massages in a lot quicker than mousse. This one also leaves behind no white residue. 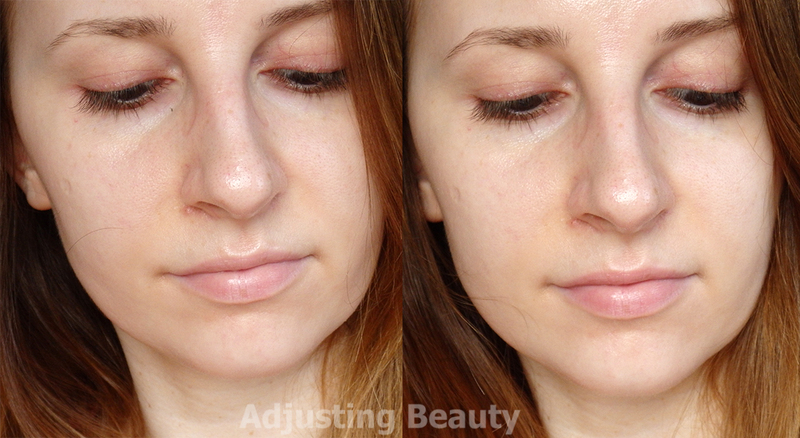 Finish has a bit of sheen on the skin, but in general feels much more lightweight and thinner in consistency than the mousse version. It also has that typical Nivea sunscreen scent. This one also feels moisturizing and you could skip your moisturizer, if you have oily or combinations skin. It's much more lightweight than mousse and definitely doesn't have that slightly greasy nourishing layer to it. I've been using it for daily wear over my skin care and under makeup and it works good for that. For when I went outside, it has protected my skin well. I didn't notice any burn or added color to my face. I am ok with SPF 30 or 40 for daily use. This one will sit nicely under makeup and can be used instead of moisturizer for normal to combination skin. Dry skin would love it too and would maybe want some additional moisture underneath it. For oily skin this might not be the best, especially if you prefer something mattifying, but also doesn't feel heavy or too greasy. It's definitely a more healthy sheen on the skin. Possible irritants may be chemical UV filters, alcohol and added perfume. For me personally, this feels non irritating on my skin. I don't smell or notice any alcohol while applying it. I have been wearing this one more, because it suits my skin better and I didn't notice it clogging my pores, so I'm satisfied with that too. 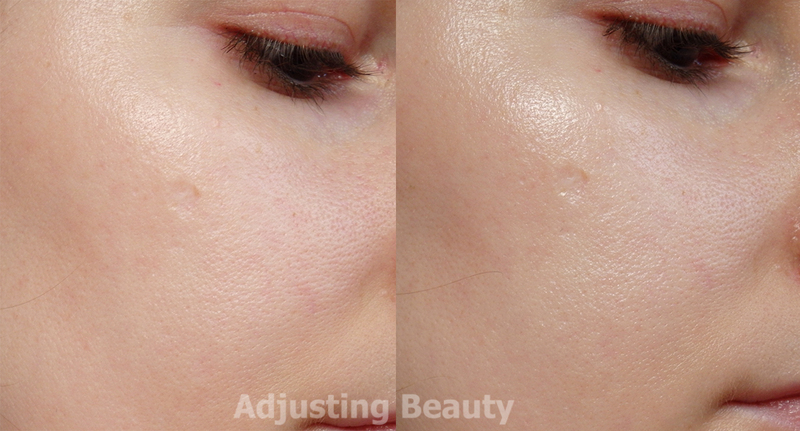 I prefer Q-10 version, because it's more lightweight on the skin, spreads easier and in general sits well under makeup. Mousse version is a bit heavier and feels almost slightly greasy, so it would be much more suited for dry skin tones that like a good nourishing layer on the skin. I will use it by the pool. They are both chemical sunscreens and leave no white residue on the skin which makes them good for daily wear. However, under my makeup I still prefer Asian formulas that absorb into nothing. 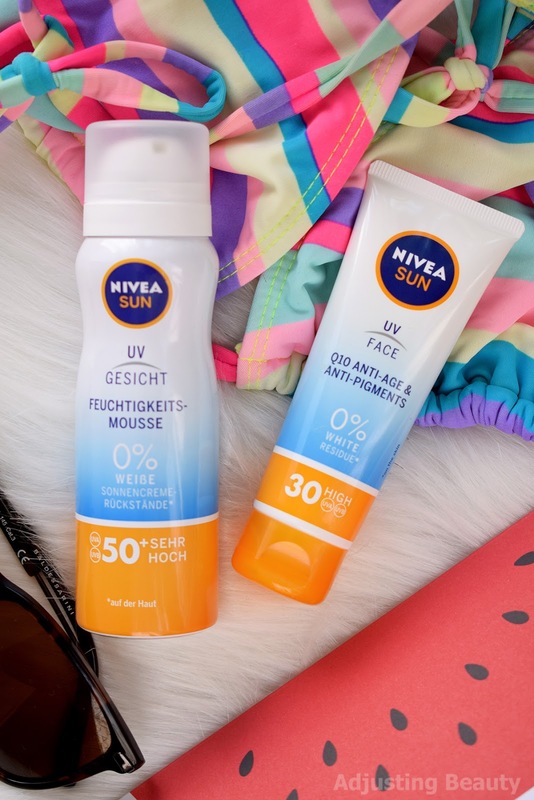 For me these two by Nivea are more for outdoor activities and hanging by the pool or sea. I am covered for the face, now I just need some SPF for the body. 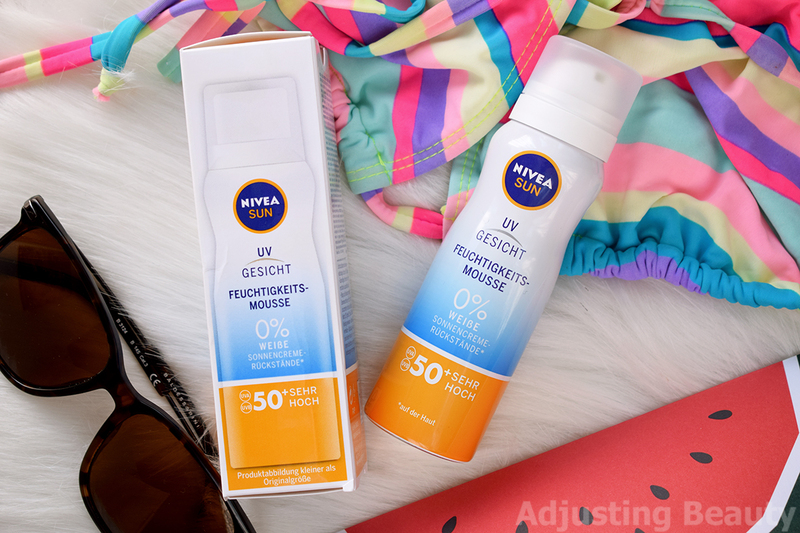 In Slovenia you can buy Nivea SPF products in most drugstores like DM, Müller, Tuš Drogerija and other stores that carry it (like Spar, Tuš...). To pa tudi jaz ne vem kako bi rešila. :D Vsekakor imam občutek, da je pena bolj puhasta kot krema in bi je nanesla 2x toliko kot po navadi nanesem kreme. Pa tudi več je pride ven na sploh.